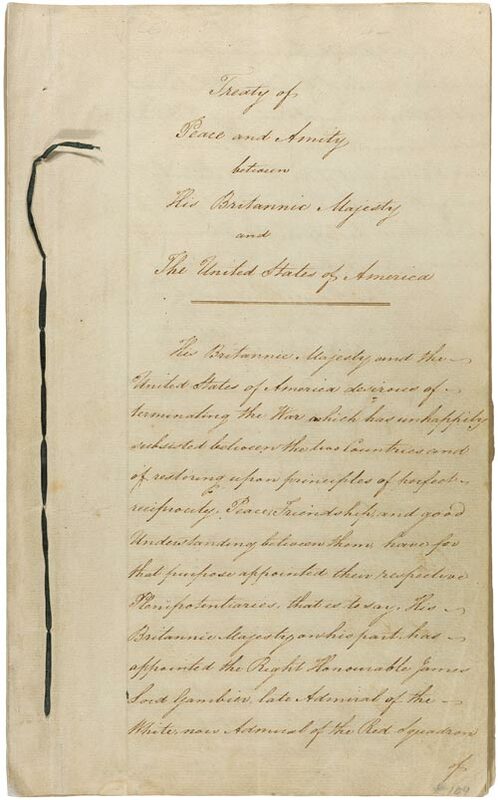 This treaty, signed on December 24, 1814, ended the War of 1812, fought between Great Britain and the United States. For the early decades of the nation’s history, relations between the United States and Great Britain remained strained. Their relationship deteriorated sharply with the outbreak of war in Europe in 1803. Britain imposed a blockade on neutral countries such as the United States. In addition, the British took American sailors from their ships and "impressed" them into the British Navy. In Congress, southern and western Democratic-Republican "War Hawks," such as the new Speaker of the House, Henry Clay of Kentucky, and Representative John C. Calhoun of South Carolina, led the sentiment for war, calling for a defense of American interests and honor. On June 1, 1812, President James Madison asked for a declaration of war. Shortly afterward, Congress, despite the opposition of every Federalist, approved the declaration. His Britannic Majesty and the United States of America desirous of terminating the war which has unhappily subsisted between the two Countries, and of restoring upon principles of perfect reciprocity, Peace, Friendship, and good Understanding between them, have for that purpose appointed their respective Plenipotentiaries, that is to say, His Britannic Majesty on His part has appointed the Right Honourable James Lord Gambier, late Admiral of the White now Admiral of the Red Squadron of His Majesty's Fleet; Henry Goulburn Esquire, a Member of the Imperial Parliament and Under Secretary of State; and William Adams Esquire, Doctor of Civil Laws: And the President of the United States, by and with the advice and consent of the Senate thereof, has appointed John Quincy Adams, James A. Bayard, Henry Clay, Jonathan Russell, and Albert Gallatin, Citizens of the United States; who, after a reciprocal communication of their respective Full Powers, have agreed upon the following Articles. There shall be a firm and universal Peace between His Britannic Majesty and the United States, and between their respective Countries, Territories, Cities, Towns, and People of every degree without exception of places or persons. All hostilities both by sea and land shall cease as soon as this Treaty shall have been ratified by both parties as hereinafter mentioned. All territory, places, and possessions whatsoever taken by either party from the other during the war, or which may be taken after the signing of this Treaty, excepting only the Islands hereinafter mentioned, shall be restored without delay and without causing any destruction or carrying away any of the Artillery or other public property originally captured in the said forts or places, and which shall remain therein upon the Exchange of the Ratifications of this Treaty, or any Slaves or other private property; And all Archives, Records, Deeds, and Papers, either of a public nature or belonging to private persons, which in the course of the war may have fallen into the hands of the Officers of either party, shall be, as far as may be practicable, forthwith restored and delivered to the proper authorities and persons to whom they respectively belong. Such of the Islands in the Bay of Passamaquoddy as are claimed by both parties shall remain in the possession of the party in whose occupation they may be at the time of the Exchange of the Ratifications of this Treaty until the decision respecting the title to the said Islands shall have been made in conformity with the fourth Article of this Treaty. No disposition made by this Treaty as to such possession of the Islands and territories claimed by both parties shall in any manner whatever be construed to affect the right of either. Immediately after the ratifications of this Treaty by both parties as hereinafter mentioned, orders shall be sent to the Armies, Squadrons, Officers, Subjects, and Citizens of the two Powers to cease from all hostilities: and to prevent all causes of complaint which might arise on account of the prizes which may be taken at sea after the said Ratifications of this Treaty, it is reciprocally agreed that all vessels and effects which may be taken after the space of twelve days from the said Ratifications upon all parts of the Coast of North America from the Latitude of twenty three degrees North to the Latitude of fifty degrees North, and as far Eastward in the Atlantic Ocean as the thirty sixth degree of West Longitude from the Meridian of Greenwich, shall be restored on each side:-that the time shall be thirty days in all other parts of the Atlantic Ocean North of the Equinoctial Line or Equator:-and the same time for the British and Irish Channels, for the Gulf of Mexico, and all parts of the West Indies:-forty days for the North Seas for the Baltic, and for all parts of the Mediterranean-sixty days for the Atlantic Ocean South of the Equator as far as the Latitude of the Cape of Good Hope.- ninety days for every other part of the world South of the Equator, and one hundred and twenty days for all other parts of the world without exception. All Prisoners of war taken on either side as well by land as by sea shall be restored as soon as practicable after the Ratifications of this Treaty as hereinafter mentioned on their paying the debts which they may have contracted during their captivity. The two Contracting Parties respectively engage to discharge in specie the advances which may have been made by the other for the sustenance and maintenance of such prisoners. Whereas it was stipulated by the second Article in the Treaty of Peace of one thousand seven hundred and eighty three between His Britannic Majesty and the United States of America that the boundary of the United States should comprehend "all Islands within twenty leagues of any part of the shores of the United States and lying between lines to be drawn due East from the points where the aforesaid boundaries between Nova Scotia on the one part and East Florida on the other shall respectively touch the Bay of Fundy and the Atlantic Ocean, excepting such Islands as now are or heretofore have been within the limits of Nova Scotia, and whereas the several Islands in the Bay of Passamaquoddy, which is part of the Bay of Fundy, and the Island of Grand Menan in the said Bay of Fundy, are claimed by the United States as being comprehended within their aforesaid boundaries, which said Islands are claimed as belonging to His Britannic Majesty as having been at the time of and previous to the aforesaid Treaty of one thousand seven hundred and eighty three within the limits of the Province of Nova Scotia: In order therefore finally to decide upon these claims it is agreed that they shall be referred to two Commissioners to be appointed in the following manner: viz: One Commissioner shall be appointed by His Britannic Majesty and one by the President of the United States, by and with the advice and consent of the Senate thereof, and the said two Commissioners so appointed shall be sworn impartially to examine and decide upon the said claims according to such evidence as shall be laid before them on the part of His Britannic Majesty and of the United States respectively. The said Commissioners shall meet at St Andrews in the Province of New Brunswick, and shall have power to adjourn to such other place or places as they shall think fit. The said Commissioners shall by a declaration or report under their hands and seals decide to which of the two Contracting parties the several Islands aforesaid do respectely belong in conformity with the true intent of the said Treaty of Peace of one thousand seven hundred and eighty three. And if the said Commissioners shall agree in their decision both parties shall consider such decision as final and conclusive. It is further agreed that in the event of the two Commissioners differing upon all or any of the matters so referred to them, or in the event of both or either of the said Commissioners refusing or declining or wilfully omitting to act as such, they shall make jointly or separately a report or reports as well to the Government of His Britannic Majesty as to that of the United States, stating in detail the points on which they differ, and the grounds upon which their respective opinions have been formed, or the grounds upon which they or either of them have so refused declined or omitted to act. And His Britannic Majesty and the Government of the United States hereby agree to refer the report or reports of the said Commissioners to some friendly Sovereign or State to be then named for that purpose, and who shall be requested to decide on the differences which may be stated in the said report or reports, or upon the report of one Commissioner together with the grounds upon which the other Commissioner shall have refused, declined or omitted to act as the case may be. And if the Commissioner so refusing, declining, or omitting to act, shall also wilfully omit to state the grounds upon which he has so done in such manner that the said statement may be referred to such friendly Sovereign or State together with the report of such other Commissioner, then such Sovereign or State shall decide ex parse upon the said report alone. And His Britannic Majesty and the Government of the United States engage to consider the decision of such friendly Sovereign or State to be final and conclusive on all the matters so referred. Whereas neither that point of the Highlands lying due North from the source of the River St Croix, and designated in the former Treaty of Peace between the two Powers as the North West Angle of Nova Scotia, nor the North Westernmost head of Connecticut River has yet been ascertained; and whereas that part of the boundary line between the Dominions of the two Powers which extends from the source of the River st Croix directly North to the above mentioned North West Angle of Nova Scotia, thence along the said Highlands which divide those Rivers that empty themselves into the River St Lawrence from those which fall into the Atlantic Ocean to the North Westernmost head of Connecticut River, thence down along the middle of that River to the forty fifth degree of North Latitude, thence by a line due West on said latitude until it strikes the River Iroquois or Cataraquy, has not yet been surveyed: it is agreed that for these several purposes two Commissioners shall be appointed, sworn, and authorized to act exactly in the manner directed with respect to those mentioned in the next preceding Article unless otherwise specified in the present Article. The said Commissioners shall meet at se Andrews in the Province of New Brunswick, and shall have power to adjourn to such other place or places as they shall think fit. The said Commissioners shall have power to ascertain and determine the points above mentioned in conformity with the provisions of the said Treaty of Peace of one thousand seven hundred and eighty three, and shall cause the boundary aforesaid from the source of the River St Croix to the River Iroquois or Cataraquy to be surveyed and marked according to the said provisions. The said Commissioners shall make a map of the said boundary, and annex to it a declaration under their hands and seals certifying it to be the true Map of the said boundary, and particularizing the latitude and longitude of the North West Angle of Nova Scotia, of the North Westernmost head of Connecticut River, and of such other points of the said boundary as they may deem proper. And both parties agree to consider such map and declaration as finally and conclusively fixing the said boundary. And in the event of the said two Commissioners differing, or both, or either of them refusing, declining, or wilfully omitting to act, such reports, declarations, or statements shall be made by them or either of them, and such reference to a friendly Sovereign or State shall be made in all respects as in the latter part of the fourth Article is contained, and in as full a manner as if the same was herein repeated. Whereas by the former Treaty of Peace that portion of the boundary of the United States from the point where the fortyfifth degree of North Latitude strikes the River Iroquois or Cataraquy to the Lake Superior was declared to be "along the middle of said River into Lake Ontario, through the middle of said Lake until it strikes the communication by water between that Lake and Lake Erie, thence along the middle of said communication into Lake Erie, through the middle of said Lake until it arrives at the water communication into the Lake Huron; thence through the middle of said Lake to the water communication between that Lake and Lake Superior:" and whereas doubts have arisen what was the middle of the said River, Lakes, and water communications, and whether certain Islands lying in the same were within the Dominions of His Britannic Majesty or of the United States: In order therefore finally to decide these doubts, they shall be referred to two Commissioners to be appointed, sworn, and authorized to act exactly in the manner directed with respect to those mentioned in the next preceding Article unless otherwise specified in this present Article. The said Commissioners shall meet in the first instance at Albany in the State of New York, and shall have power to adjourn to such other place or places as they shall think fit. 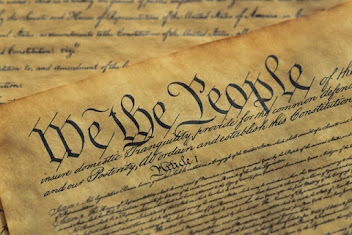 The said Commissioners shall by a Report or Declaration under their hands and seals, designate the boundary through the said River, Lakes, and water communications, and decide to which of the two Contracting parties the several Islands lying within the said Rivers, Lakes, and water communications, do respectively belong in conformity with the true intent of the said Treaty of one thousand seven hundred and eighty three. And both parties agree to consider such designation and decision as final and conclusive. And in the event of the said two Commissioners differing or both or either of them refusing, declining, or wilfully omitting to act, such reports, declarations, or statements shall be made by them or either of them, and such reference to a friendly Sovereign or State shall be made in all respects as in the latter part of the fourth Article is contained, and in as full a manner as if the same was herein repeated. 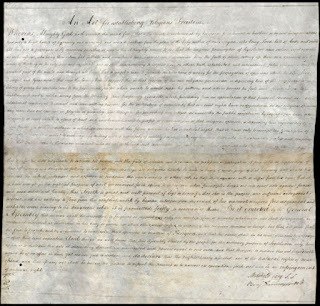 It is further agreed that the said two last mentioned Commissioners after they shall have executed the duties assigned to them in the preceding Article, shall be, and they are hereby, authorized upon their oaths impartially to fix and determine according to the true intent of the said Treaty of Peace of one thousand seven hundred and eighty three, that part of the boundary between the dominions of the two Powers, which extends from the water communication between Lake Huron and Lake Superior to the most North Western point of the Lake of the Woods;-to decide to which of the two Parties the several Islands lying in the Lakes, water communications, and Rivers forming the said boundary do respectively belong in conformity with the true intent of the said Treaty of Peace of one thousand seven hundred and eighty three, and to cause such parts of the said boundary as require it to be surveyed and marked. The said Commissioners shall by a Report or declaration under their hands and seals, designate the boundary aforesaid, state their decision on the points thus referred to them, and particularize the Latitude and Longitude of the most North Western point of the Lake of the Woods, and of such other parts of the said boundary as they may deem proper. And both parties agree to consider such designation and decision as final and conclusive. And in the event of the said two Commissioners differing, or both or either of them refusing, declining, or wilfully omitting to act, such reports, declarations or statements shall be made by them or either of them, and such reference to a friendly Sovereign or State shall be made in all respects as in the latter part of the fourth Article is contained, and in as full a manner as if the same was herein revealed. The several Boards of two Commissioners mentioned in the four preceding Articles shall respectively have power to appoint a Secretary, and to employ such Surveyors or other persons as they shall judge necessary. Duplicates of all their respective reports, declarations, statements, and decisions, and of their accounts, and of the Journal of their proceedings shall be delivered by them to the Agents of His Britannic Majesty and to the Agents of the United States, who may be respectively appointed and authorized to manage the business on behalf of their respective Governments. The said Commissioners shall be respectively paid in such manner as shall be agreed between the two contracting parties, such agreement being to be settled at the time of the Exchange of the Ratifications of this Treaty. And all other expenses attending the said Commissions shall be defrayed equally by the two parties. And in the case of death, sickness, resignation, or necessary absence, the place of every such Commissioner respectively shall be supplied in the same manner as such Commissioner was first appointed; and the new Commissioner shall take the same oath or affirmation and do the same duties. It is further agreed between the two contracting parties that in case any of the Islands mentioned in any of the preceding Articles, which were in the possession of one of the parties prior to the commencement of the present war between the two Countries, should by the decision of any of the Boards of Commissioners aforesaid, or of the Sovereign or State so referred to, as in the four next preceding Articles contained, fall within the dominions of the other party, all grants of land made previous to the commencement of the war by the party having had such possession, shall be as valid as if such Island or Islands had by such decision or decisions been adjudged to be within the dominions of the party having had such possession. The United States of America engage to put an end immediately after the Ratification of the present Treaty to hostilities with all the Tribes or Nations of Indians with whom they may be at war at the time of such Ratification, and forthwith to restore to such Tribes or Nations respectively all the possessions, rights, and privileges which they may have enjoyed or been entitled to in one thousand eight hundred and eleven previous to such hostilities. Provided always that such Tribes or Nations shall agree to desist from all hostilities against the United States of America, their Citizens, and Subjects upon the Ratification of the present Treaty being notified to such Tribes or Nations, and shall so desist accordingly. And His Britannic Majesty engages on his part to put an end immediately after the Ratification of the present Treaty to hostilities with all the Tribes or Nations of Indians with whom He may be at war at the time of such Ratification, and forthwith to restore to such Tribes or Nations respectively all the possessions, rights, and privileges, which they may have enjoyed or been entitled to in one thousand eight hundred and eleven previous to such hostilities. Provided always that such Tribes or Nations shall agree to desist from all hostilities against His Britannic Majesty and His Subjects upon the Ratification of the present Treaty being notified to such Tribes or Nations, and shall so desist accordingly. 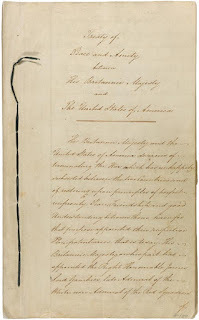 This Treaty when the same shall have been ratified on both sides without alteration by either of the contracting parties, and the Ratifications mutually exchanged, shall be binding on both parties, and the Ratifications shall be exchanged at Washington in the space of four months from this day or sooner if practicable. In faith whereof, We the respective Plenipotentiaries have signed this Treaty, and have hereunto affixed our Seals. Done in triplicate at Ghent the twenty fourth day of December one thousand eight hundred and fourteen.